The first time I tried Frostbites, it was an explosion of flavor. The combination was so subtlety perfect and the balance of fruit and cream was sublime. 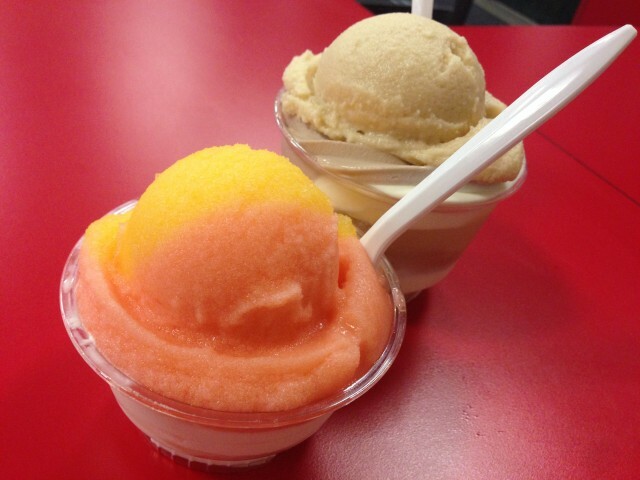 Sorbet chill and Italian ice is what Frostbites is all about. 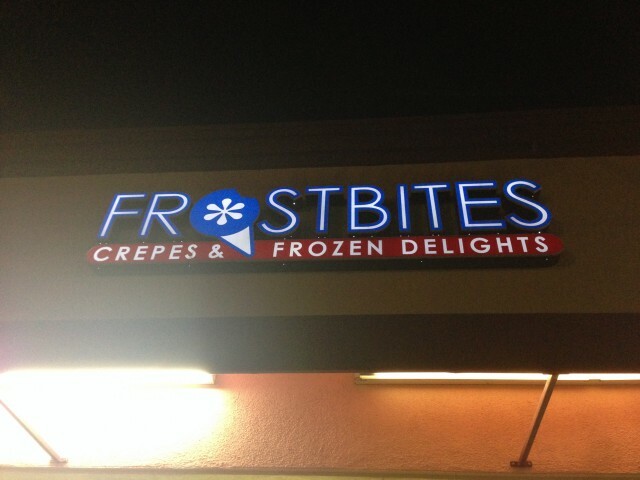 I would have liked to try their crepes, but their “frozen delights” was what I came for. In the bitter sweet end of the hot summer, these are perfect for the sticky air and warm nights. The Pineapple passion fruit and cream was the perfect combo. The pineapple was tart and contrasted nicely with the creamy custard. On the other hand, the peanut butter chocolate was more of a sweet indulgence. Both were great in their own way, but the classic flavors of cream and fruit was too good. I liked Frostbites, and was a great dessert for a hot night. It kept me cool and refreshed with a nice mix of cream and fruitiness. Summer needs more of this!